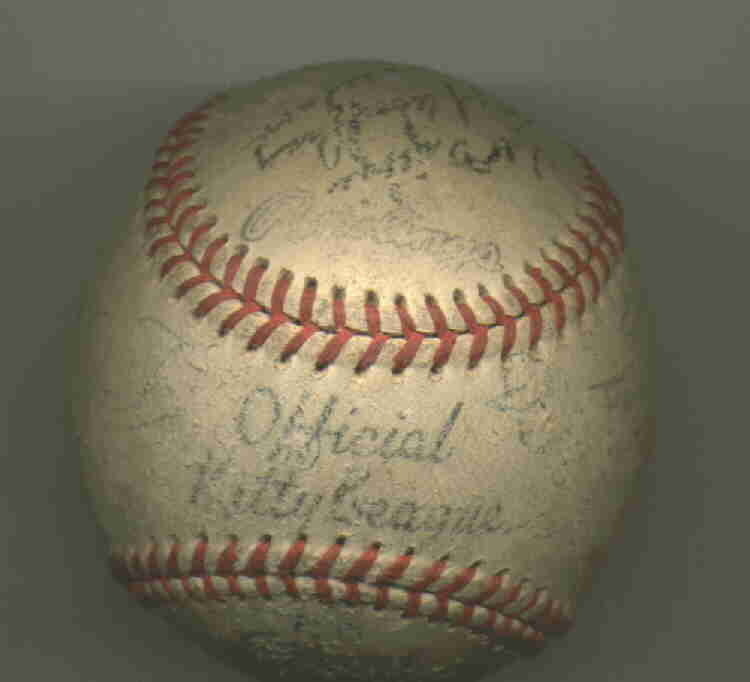 This is an official Kitty League Ball that would have been used in the 1952 season except that it was autographed by the team and given to my grandmother. 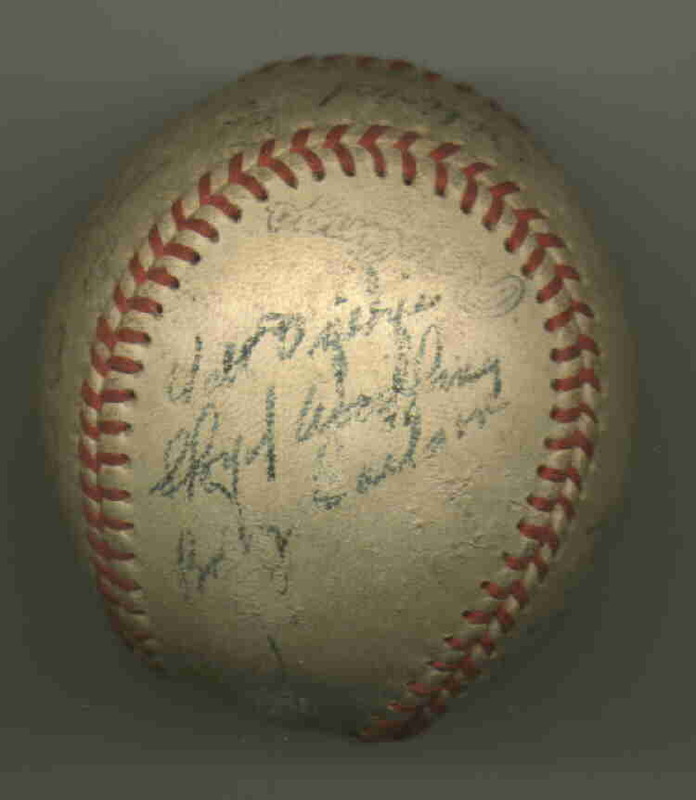 The autographs on the right are Walt Dziedzic, Lloyd Woodling and Bobby Carlson. Others that can be made-out are Frank Radler, J. T. Jaynes, Dewey Martling, Jay Stasko, Lefty Lessig, Jack Rothenhausler, Dom Serafini, Art Cook, Ed Knapp, and Herminio "Chico" Cortez. The scuff marks are from a time when my brother and I needed a ball for a game of pepper in the street!